Splendid Spoon‘s healthy plant-based meals are here! Meal subscription starts at $65 per week, which includes 5 bowls for lunch. Are you getting Splendid Spoon? 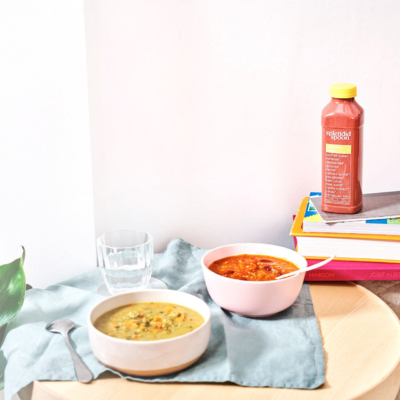 Souping for health is a great way to detox your body and recharge your immune system. It's also an easy way to get more servings of vegetables in your diet without sacrificing the flavor, satiety, and sheer pleasure of nomming down on a meal. Whether it's on-the-go sipping or mindful spooning, we gotcha covered with our scrumptious flavors and 3+ servings of veggie power in every container.